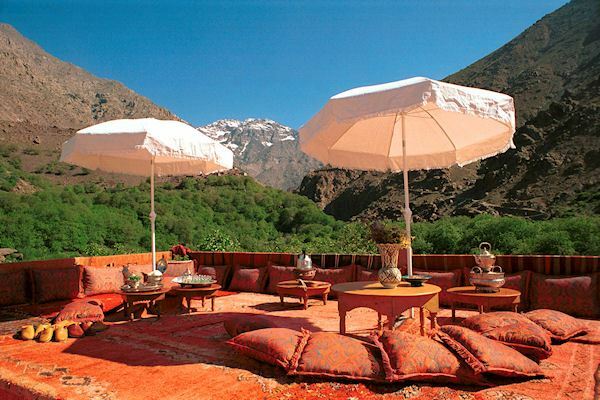 Discover Ltd has worked in Morocco since 1978 our Kasbah du Toubkal a National Geographic Unique Lodges Of The World is the number one property of choice for comfortable hotel accommodation in the village of Imlil and the High Atlas Mountains of Morocco. 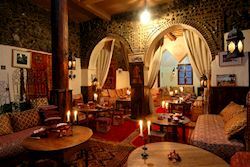 The Kasbah (1,820m) is just 60 kms from Marrakech and set on a hilltop 100 meters above the village of Imlil. 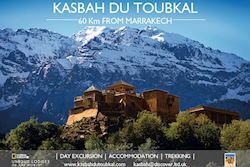 The Kasbah is also in the Toubkal National Park and set dramatically below the towering flanks of Jbel Toubkal, the highest mountain in North Africa standing at 4,167m. Imlil, and its surrounding valleys, is a world apart from the bustle of Marrakech and a place of peace and seclusion. The Kasbah is an award-winning unique hotel offering fourteen comfortable en-suite rooms, three of which can be used as a private self-contained house. In addition, there are three family rooms. The Kasbah du Toubkal has won numerous awards for sustainable tourism and was honored by being a founder member of National Geographic Unique Lodges Of The World. The delightful garden and large terraces offer unparalleled views of the surrounding mountains, described by Conde Nast Traveller “… with the best rooftop views in North Africa….this is the country’s first and foremost mountain retreat..
Our friendly and knowledgeable local Berber team will make every effort to ensure your stay is enjoyable. 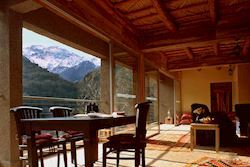 We offer trekking packages including stays at our Trekking Lodge and the ascent of Mount Toubkal as well as more relaxing holidays staying in the mountains and Marrakech in our riad or hotel of your choice. 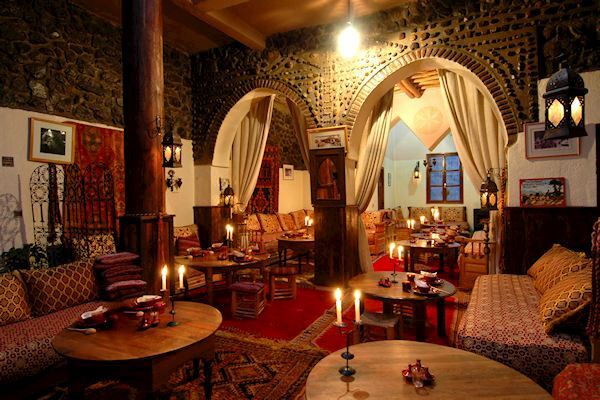 We arrange personalised tailor-made tours around the fascinating Kingdom of Morocco.